Powerful, compact and very versatile. 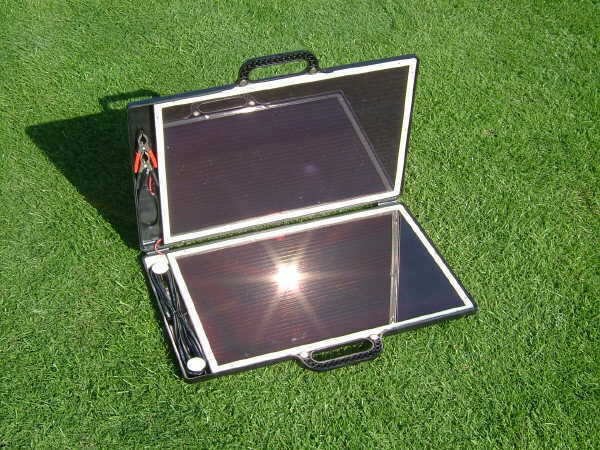 Ideal for caravans, yachts, electric hand tools, DC fridge, notebook computers, GPS systems. Supplied with many connectors for different applications, our briefcase chargers are perfect for applications when on the move, there briefcase style case gives them excellent protection when not in use. If you are planning to leave the Briefcase Charger connected to a battery for long periods we recommend that our plug and play Sunshine Charge Regulator 12V - 7AMP is used.